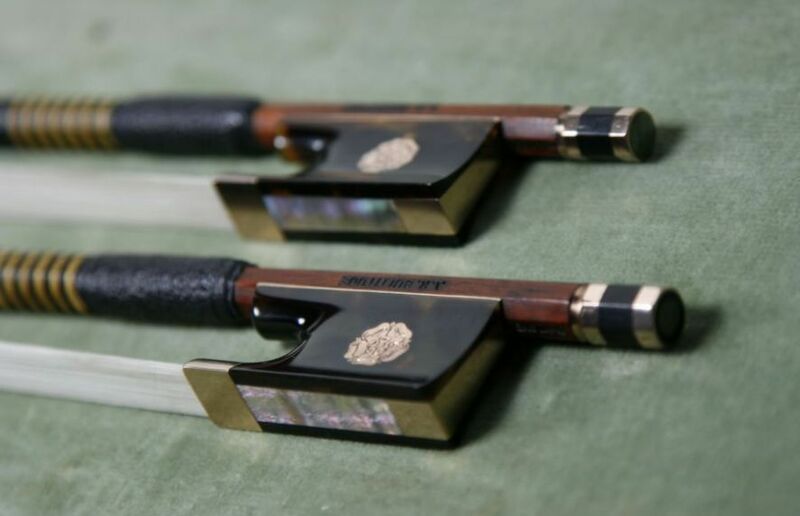 As a quintessentially English violin shop, we have a passion for British violin makers, and bow makers are no different. A few words about a particular favourite – Arthur Bultitude. 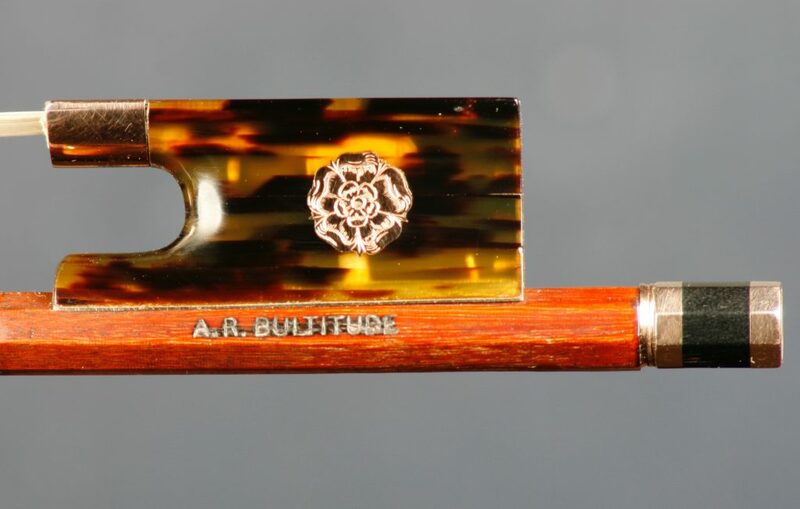 Born towards the end of the Edwardian era in 1908, Arthur Bultitude is regarded as one of the finest twentieth century English bow makers. He spent the majority of his career working at the famous London violin firm ‘W.E. Hill & Sons’, beginning his apprenticeship at just fourteen years of age. He subsequently worked for the firm for nearly forty years, gaining invaluable experience working with William Retford in particular, and was appointed workshop manager after the second world war. In 1961, when his contemporaries may perhaps be contemplating retirement, Bultitude set up his own independent workshop in the the same county as our shop – under half an hour away by car in the picturesque village of Hawkhurst, Kent. 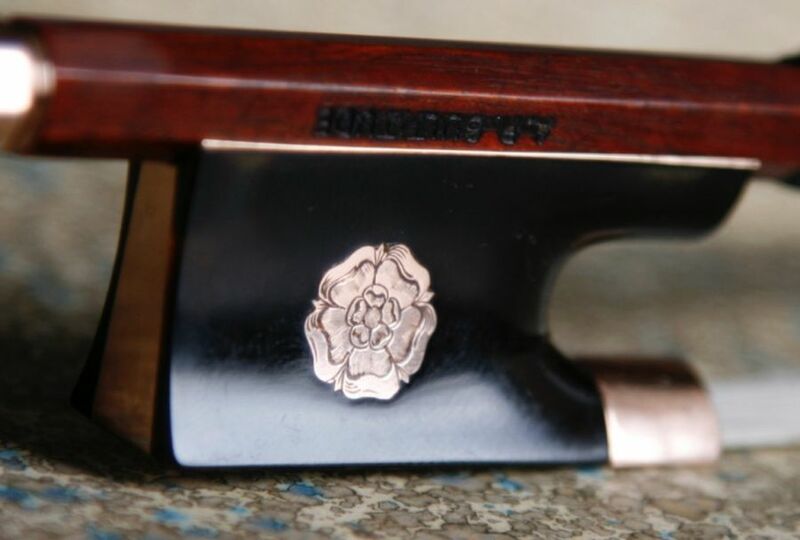 Having previously been effectively a ghost maker for Hills with just a discrete number ‘6’ engraved under the hair to denote his work, with the stick bearing the stamp ‘W. E .Hill & Sons’, Bultitude was now able to fully identify his own work with his own stamp. As the photographs in this post show, he also went one step further, and personalised his frogs with decorated inlays. The Tudor Rose above, being his most popular. Bultitude had a prolific post Hills career, and whilst he varied his work slightly, his style of making didn’t deviate too far from his formative London years. He built up quite a large clientele, and his bows are still very popular with musicians today. 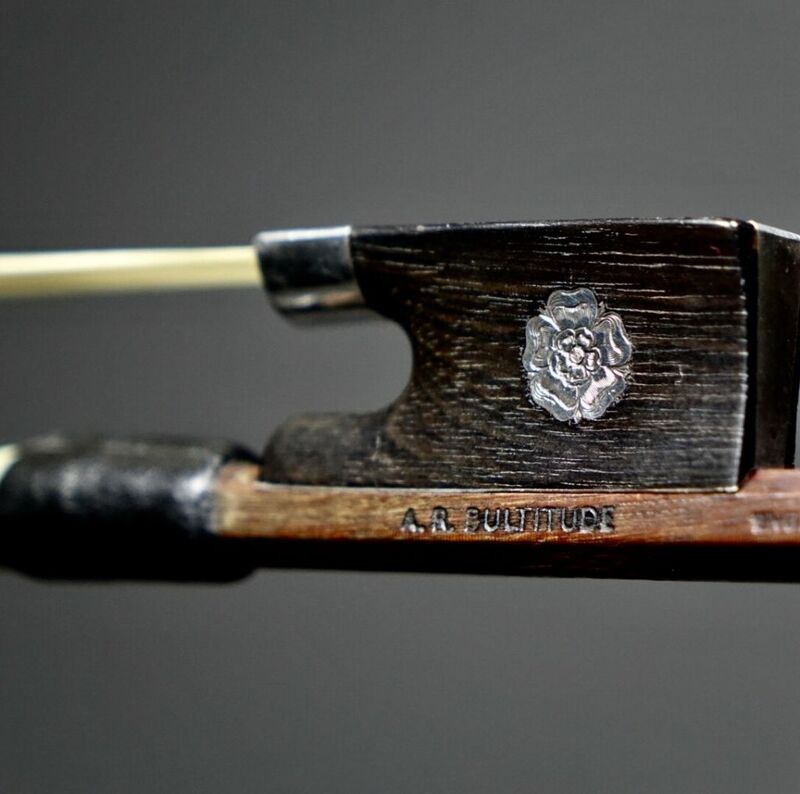 From time to time, we encounter customers in the shop who had commissioned his bows directly, and it is pleasing to hear the occasional anecdote. A true gentlemen, by all accounts, who’s work was acknowledged with an MBE.